Q: Why did Ray mark the bench with chalk? Q: Is "Duplicity" based on a book? 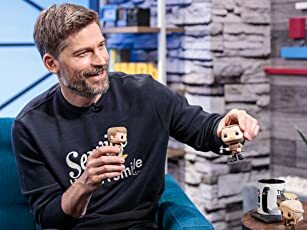 Q: Who and why are the two men fighting during the opening scene? Two corporate spies (Owen & Roberts) hook up (after knowing each other a while back) to pull off a scheme to get 40 Million dollars. The mission is to infiltrate a company that each other work in, and expose a secret product the company is releasing. Soon things get out of plan, and the two spies realize they have more feelings for each other than they recently thought. I've been a fan of Clive Owen ever since Children of Men, and I was so gratified to see Julia Roberts back on the screen. A few years ago both Clive and Julia did a movie together called "Closer", and it was satisfying to see them back together again. Their performances together are the only uplifting value of this film. Although we could have used more of Paul Giamatti and definitely more Tom Wilkinson, the entire cast was perfect for this film. This movie had too much potential in the first half, but after that it becomes a confusing and mind boggling mess of a movie. There were so many twists, and confused story telling even I heard some of the audience members yell out "Huh? What was that about?" The script was good, but the story was horribly told that it came to a very disappointing outcome. That's a shame because I was expecting to enjoy a good suspense movie that wasn't confusing. 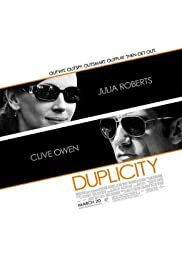 Duplicity is a often funny and well acted movie, but you'll have to find either the film's director or the screenwriter to translate the story for you, or else you won't get it. It surprisingly turns romantic in the end which makes it a fairly good date movie, but you'll be more confused than dazzled. I have to say skip this movie, and if you want to see Julia Roberts at her best rent Erin Brockovich. If you want to see Clive Owen at his best rent Inside Man. Need I say more? 120 of 188 people found this review helpful. Was this review helpful to you?